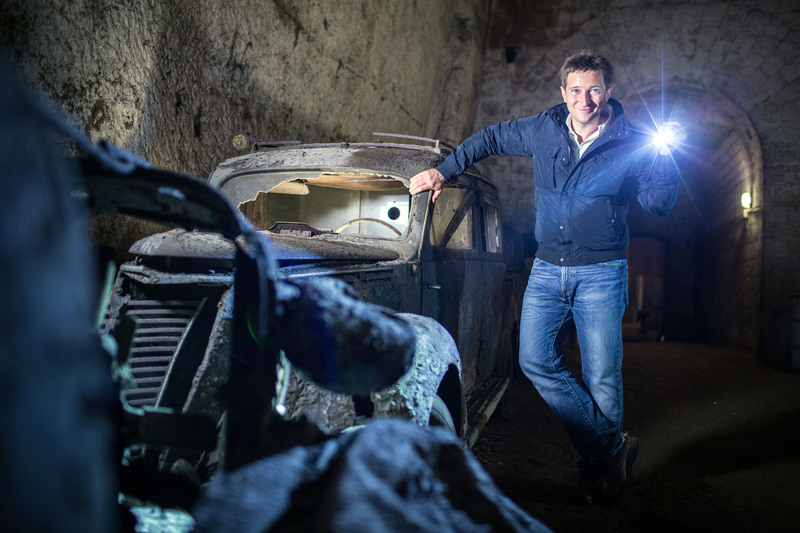 Using an arsenal of cutting-edge technology, including ultra-high definition 3D scans, underwater LiDAR, photo-real CGI and drone cameras, Alexander and Michael discover Italy’s hidden past in new vivid detail. “‘For this series’, they said, ‘you will need to scuba dive.’ ‘No problem,’ I said. ‘Into some smelly Venetian canals’ they said. ‘Ok’ I said – ‘with what protection?’ ‘Medicated olive oil spray’ they said. ‘Right’ I said. These are cities close to Michael’s heart. Naples and its environs, including Pompeii and Herculaneum are key locations in his studies of the ancient world. Florence is where Michael lived in his late teens and first learnt Italian. And Venice, where Michael is a regular, visitor seeing members of his family and working from the University of Warwick’s permanent base in Venice at Palazzo Papafava. The mission – Michael is taking Alexander on a tour to get under the skin of these three cities, to find out what makes them tick, and how the bits you can’t see are crucial to their success. To do so, they will have to snorkel, scuba dive, don hard hats and protective overalls, conquer fears of heights and enclosed spaces, face scorpions, walk on buried skeletons, face torture chambers and brutal public bloodletting, navigate the perilous roads of the Amalfi coast, as well as conquer Naples on a scooter. In this first episode, Alexander and Michael seek to expose the buried treasures contained in one of the world’s oldest cities – Naples. Starting in the city center, Michael and Alexander delve into a series of underground tunnels, constructed by ruling Bourbon kings in the 19th century. To make sense of how these concealed spaces fit into the history of the city they will be using the latest 3D scanning technologies to create a new virtual model of the 250km expanse of the Bay of Naples - one of the most comprehensive 3D maps of Naples ever produced. Next the duo will learn about an underground theatre buried after the eruption of Vesuvius, rediscovered when Roman statues began surfacing in one of the town’s wells. Turning to the scanning team again, Michael and Alexander gain a greater understanding of the hidden theatre, by revealing a detailed picture of the underground auditorium and surrounding buried village. This three part series will be aired on BBC One in 2017, starting on 4 January at 9:00pm. Naples: the city whose motto is Carpe Diem (Seize the Day) - not least because it exists on top of a massive series of volcanoes and every day could be its last. Venice: the city whose very existence is testament to human ingenuity – and where it is imperative that the secret of its survival remains hidden from view. Florence: the city of beauty and Renaissance grandeur is unmasked to reveal the seething turmoil and competition that pushed it to outdo its rivals and its richest citizens to outdo one another.